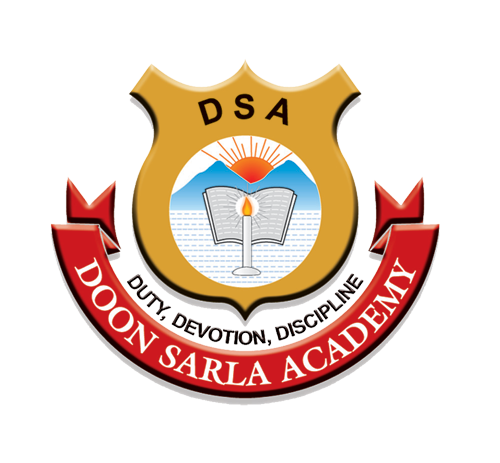 Doon Sarla Academy was established in 1991 in the memory of late Smt. Sarla Devi with the aim to give all round development to the students. This institution has made its aim to not only give bookish knowledge but also to inculcate Duty, Devotion and Discipline among the students. The institution started with five students and today it has the strength more than 600 students. 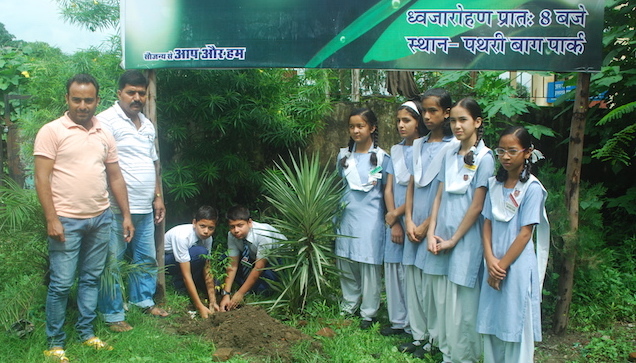 This institution is recognized by Uttarakhand government and is in the process of attaining recognition from C.B.S.E. board. 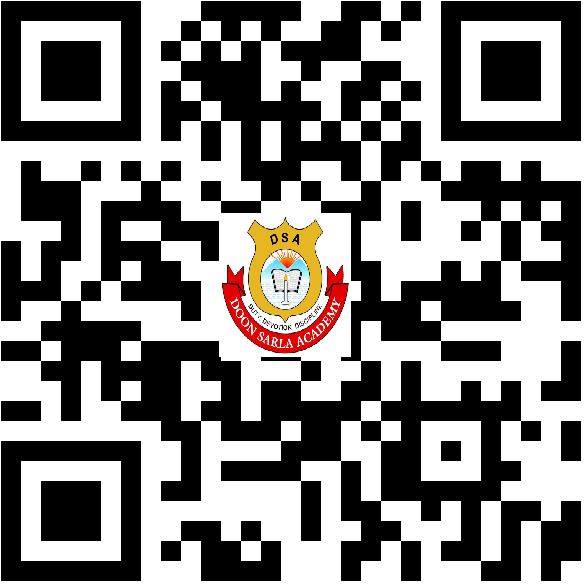 This institution works for the all-round development of the students through studies, sports and many other activities. 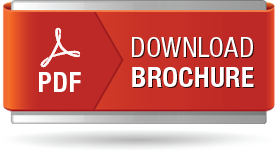 Virtual School Program: A new initiative by the school. A user friendly online system that provides parents an exclusive access to all information about their ward/wards. 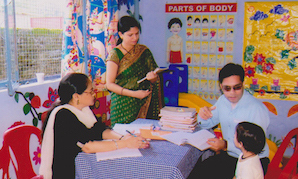 Social Responsibility Initiatives-One of its new initiative by the school management to work hand-in hand with the parents to churn new initiatives for administration as well as to sculpt a better future for children. While the most emphasis in the logo is laid on signifying the union of values in education, the open book is a direct indication that Education empowers and enlightens every student of ours with knowledge. The Logo represents that any student or seeker who has gained Knowledge and has worked in the world outside in organizing humanity and in rehabilitating his generation in the greater values of life – which are defined here as Courage, Compassion, Equality and Integrity. Child development in India will be the biggest sunrise that any country has ever seen in the world. 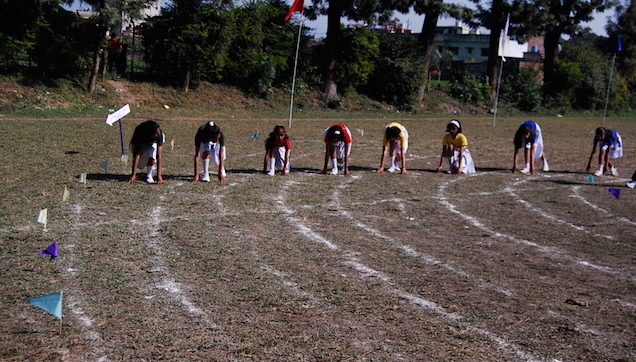 The best school of Dehradun! There is nothing like this school in the universe. Nostalgic about my old memories with this school.Thank you all for making me a brilliant child and I'm sure that you will continue to cater the same for others! Please give me your blessings. After we moved to Delhi, we find our daughter is excelling academically, which is brilliant. I have to say the standard in Doon Sarla Academy was really high because by the time we got here...she was wayyyyyyy ahead. I can positively say DS Academy has made me a better person. It has helped me develop a positive attitude towards my studies and discover more about myself. Teachers are very caring and interested in students’ well-being. 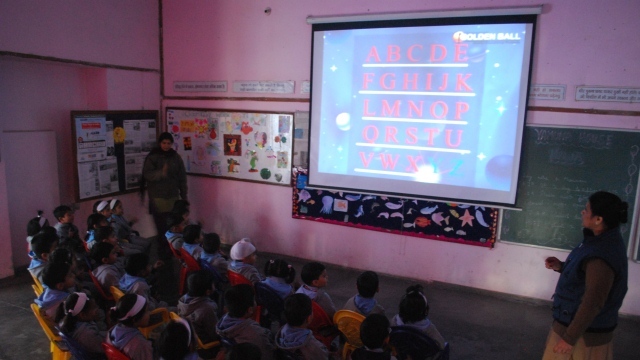 They make sure every class is fun, educational and interactive. I just wanted to share with you that yesterday Avantika was given her first free reader book (at her new school in Mumbai) and she was just super happy. She told me "Mom, we have to tell Ms. Bisht (Teacher @ DS Academy) because she will be really happy. I miss her so much..." :-). The new school teacher told me that she has a really good level reading and writing for her age and I just wanted to say THANK YOU!!!!!! :-). You did a wonderful job and I am super grateful. I have always felt that I was so lucky to be a student at Doon Sarla Academy, and not at any other private or public schools. The thing I admire the most about DS Academy is the support I received from everyone at the school. I wouldn't have been able to achieve what I have achieved without that caring environment. This is the best school for my girls. 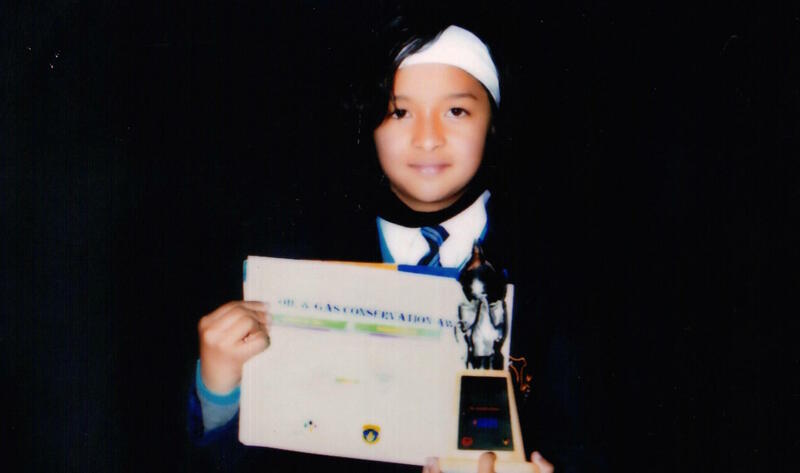 It was an easy decision because it is the best school in Dehradun. The school has innovative and caring teachers which is important to us. Doon Sarla Academy offers high standards of education across a broad range of subjects. My girls love the Art and Music classes! My girls are learning at a phenomenal rate. A glittering n progressive Educational Institution of Dehradun having good Ambiance.